Some of the world’s biggest money managers backed two unprecedented executive awards this year, emboldening other corporate boards to make colossal bets on their CEOs. Funds run by BlackRock, Fidelity and T. Rowe Price cast votes in favour of special grants for Tesla chief executive officer Elon Musk and Axon Enterprise’s Rick Smith, regulatory filings show. Musk and Smith will each reap more than $1bn from the grants if they meet moon-shot financial targets over the next decade. Closer scrutiny of executive compensation by investors and proxy advisers has prompted many boards to design middle-of-the-road pay programs to avoid drawing public scorn. But as investment giants with sizable stakes in most public US firms show they’re receptive to unconventional ideas, more outlier pay plans may follow. “Some boards are looking at these things and saying, ‘If they got away with it, we might, too,”’ said John Trentacoste, chief operating officer at Farient Advisors, which specialises in executive compensation. Tesla, with a history of betting big on its iconic leader, outdid itself this year by proposing an award that showcased ambitions to make the carmaker one of the world’s biggest companies. The board proposed granting Musk stock options that would yield more than $50bn if Tesla’s market value grows more than 10-fold and it significantly increases revenue or adjusted earnings before interest, taxes, depreciation and amortisation. If the goals aren’t achieved, he’d get nothing. Axon, which sells Tasers, body cameras and software services for law enforcement, replicated Musk’s award for its own CEO, promising Smith options that could yield about $1.3bn if the firm met audacious growth targets. The world’s two largest proxy advisory firms, Institutional Shareholder Services and Glass Lewis & Co, slammed the proposed awards. But shareholders of Axon and Tesla - excluding Smith, Musk and his brother Kimbal, who recused themselves - approved the pay packages by wide margins. Among those were some funds at Fidelity, which manages about $2.5trn and the $6.3trn giant BlackRock. Vanguard, which oversees $5.1trn, voted against Musk’s award while supporting Smith’s grant, filings show. Some funds at State Street rejected both pay proposals. T. Rowe Price, which has about $1trn under management, told Bloomberg in March that Tesla’s plan was “well aligned with shareholders’ long-term interests.” Several of its funds supported that proposal but voted against Axon’s. Many large institutional asset managers have governance teams that speak with portfolio companies about matters including compensation and board composition. Still, it’s fund managers who typically decide how to vote, and they aren’t always required to heed their colleagues’ advice. Gauging the sentiment of trillion-dollar asset managers can be helpful to companies trying to determine whether a shareholder resolution will win backing from other investors. Disagreements with large shareholders can result in rejections during nonbinding votes on executive compensation, usually held annually, which can embarrass directors and draw the attention of activist investors. Still, some compensation advisers caution that the votes at Tesla and Axon shouldn’t be seen as a tectonic shift. 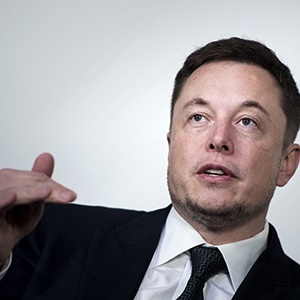 Musk, 47, and Smith, 48, who built and nurtured the companies from their infancy, may end up working for free if they fail to achieve their lofty targets - a deal that may be less appealing to a CEO hired externally. Not every firm has growth prospects that support that kind of compensation structure. Other, far smaller special grants have caused significant shareholder pushback. Almost half of votes cast at International Business Machines’ annual meeting in 2017 rejected a pay program that included a controversial set of stock options for CEO Ginni Rometty. In November, Oracle said it would revamp compensation for its three top executives and grant them large blocks of options tied to performance goals. More than half of investors rejected the program. “While some large shareholders might endorse” large awards, that shouldn’t be seen as a blanket approval for boards to replicate those, said Ira Kay, a managing partner at Pay Governance, an executive-pay advisory firm.